This July, our Akira Kurosawa film club turns its attention to Seven Samurai (1954), perhaps the best known of Kurosawa’s works. Despite its fame, questions about the critical response to Seven Samurai can be raised. In her book Seven Samurai, Joan Mellen writes that the film has been the “least written about” and the “most misunderstood” of all of Kurosawa’s works (63). While in terms of quantity of writing this may not strictly speaking be true, at least if material written outside of the academia is also factored in, the discussion on Seven Samurai has admittedly been traditionally marked by a certain lack of shared insight, or at least any recognisable unified direction. In fact, although Seven Samurai is probably the most popular of Kurosawa’s films, views on how it ranks in the director’s oeuvre have been varying. At one end of the scale, we have Noël Burch who has once called Seven Samurai nothing more than the finest of Kurosawa’s minor jigaigeki (quoted in Mellen, 63-64). Stephen Prince ranks it higher, labelling Seven Samurai “one of [Kurosawa’s] most richly textured philosophical works” (204). Meanwhile, Stuart Galbraith calls it Kurosawa’s best film (174), while Donald Richie goes a step further and insists that it is not only Kurosawa’s best film, but also possibly the best made in Japan, and among the best made by anyone anywhere. Yet, in a sense Joan Mellen’s statement about Seven Samurai stands. Some, like many early Japanese critics, have dismissed the film as simplistic, others as somewhat muddled, too naively humanist. Then there are those who point out that Seven Samurai is simply too good to penetrate. It is “a perfect film”, a film so well made that it has no weak points, not a single loose thread from which to pull to start unravelling the construct. Instead, you are left marvelling at the object as a whole, with no easy access into its heart. And indeed, while essays on Seven Samurai are fairly numerous, they tend to be descriptive rather than reflective, almost bordering on idolisation, even more so than is usually the case with Kurosawa. And when they do have something interesting to say, they are often contradictory to one another. It is at times difficult to spot the gold nuggets in the slush. Seven Samurai‘s production history is quite legendary. 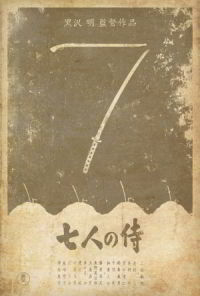 Written by Kurosawa, Shinobu Hashimoto and Hideo Oguni — the team behind Ikiru and most of Kurosawa’s films in the 1950s — the project had originally started out with the intention of telling a realistic story about a single day in the life of a historical samurai, a day that would have ended in his ritual suicide. (Eight years later, Seven Samurai‘s principal researcher Hashimoto would co-write Harakiri for Masaki Kobayashi with Yasuhiko Takiguchi.) This idea was discarded after the writers’ research had not uncovered enough historical detail about the actual day-to-day lives of samurai, and been replaced with the idea of a series of climactic stories about five famous historical samurai. A draft was written by Hashimoto, but again this did not work. By now, several months had passed from the beginning of the project, and Kurosawa still didn’t have his samurai story. Then, the idea of a group of samurai defending farmers came to them, and the writers decided to run with it. After further research and other initial plans, the three-man writing team locked themselves at an inn, and after six weeks emerged with a completed screenplay. With the script finished, a certain amount of time was spent in pre-production, followed by four weeks of in-costume rehearsals, during which time Kurosawa encouraged everyone, including the extras, to refer to one another with character names, whether working or not (Galbraith 184). Cameras finally began rolling on May 27 1953, with early October premiere in mind (Galbraith 186). That deadline would, of course, not be made. The shoot — interrupted a few times by both the studio threats of shutting down the production for running over budget as well as for Kurosawa driving himself into exhaustion and needing a few days to recuperate — eventually ran all the way into February 1954. After two months of post-production, the film premiered on April 26, 1954. At the time, it was the most expensive Japanese film ever made, having run some 3-4 times over the initial budget. Seven Samurai is one of Kurosawa’s genre exercises, having begun as a conscious effort to re-examine and revitalise the jidaigeki (“period film”) and chanbara (“sword fighting”) genres by basing the film on realism rather than the typical action filled swordplay fantasy that most chanbara films at the time were. Kurosawa also intended it to be a dynamic film, one based on movement. To attain this goal, Kurosawa would for the first time use his later trademark three camera method of shooting, where cameras A, B and C would be running simultaneously, the first working as a principal unit, the second as a backup unit, and the third as a guerilla unit attempting to capture the unexpected. This setup, while more complicated to plan than standard single camera shooting, allowed Kurosawa longer takes and to more accurately and more consistently capture movement. As Prince writes, Seven Samurai is an “exercise in kinesis, in the realization of a cinema defined as pure motion” (204), which for Kurosawa was a marked and calculated change from the more static aesthetic form that he had adopted for his films since the 1949 Stray Dog. On the structural side, Seven Samurai has been noted for its atypical length and the mastery with which Kurosawa pulls off a film nearly three and a half hours long. Kenneth Turan in his short essay included with the newer Criterion release of the film talks about the film’s length and pacing, noting that unlike many other equally long films, Seven Samurai‘s length is not only necessary but also natural. Audie Bock in her Japanese Film Directors similarly draws our attention to the film’s rhythm, noting that just like Seven Samurai, “the best Kurosawa films unfold in a push-and-release rhythm, with vigorous action tempered by static dialogue, gripping suspense relieved by light romance or outright buffoonery. And at calculated intervals in the course of the unfolding come moments of Kurosawan truth.” (176) This “push-and-release rhythm” is easily recognisable in Seven Samurai, where weightier scenes are often followed by lighter, often comic ones. Indeed, Seven Samurai could at many points be called a seriously funny film. Although Seven Samurai was the first proper samurai film that Kurosawa directed, he had actually written two such films in the years just before committing to his own project: Fencing Master was directed by Masahiro Makino and released in 1950, while the 1952 Vendetta of a Samurai was helmed by Kazuo Mori. 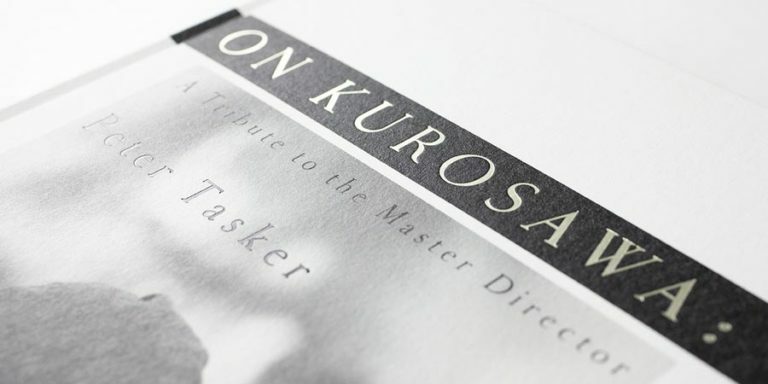 (For information about films Kurosawa wrote for other directors, see here.) It was a world that clearly interested him, and one that he would come to famously revisit in films like Yojimbo and The Hidden Fortress. The many influences behind Seven Samurai include the often mentioned (but sometimes disputed) link with the American western, and definitely also the realism of Russian epics and Sergei Eisenstein, with Joan Mellen remarking that “[n]owhere does any later director better fulfil the promise of Eisenstein’s innovations in montage than Kurosawa does in this film.” (31) And while these foreign influences are often the first ones to be mentioned in connection with Seven Samurai, just as important points of reference — if indeed not more so — were films closer to home, for instance the films of Mansaku Itami and Sadao Yamanaka, who had begun to rework jidaigeki films in the 1930s (see Yoshimoto 235-238), as well as those of Kenji Mizoguchi, whose period films Kurosawa admired, especially for their historical realism (see for instance Richie 97). Kanbei, played by Takashi Shimura, can of course be seen as the film’s unifying character, the wisest and most perfect of the samurai. He is the leader, the priest and the father figure, and also the mentor to Katsushiro, and to a lesser extent to Kikuchiyo, in a master-pupil relationship familiar from many other Kurosawa films. It is in Kanbei that the purest form of the samurai spirit is portrayed and it is through him that the other samurai are defined in the film. Seven Samurai, like most of Kurosawa’s films, is typically seen as a male dominated work, a film about men and male bonding. Joan Mellen, in Waves at Genji’s Door, insists that the film’s only female character of any importance is the peasant girl Shino, with whom the young samurai Katsushiro falls in love. (51) In contrast, however, in her essay “Seven Samurai and Six Women” (printed in Japanese Cinema: Texts and Contexts), D.P. Martinez writes about the role of women in Seven Samurai, arguing that a “close look at [Kurosawa’s] films reveals that they are peopled with fascinating, complex women who might occupy little screen time but whose personalities and motivations are essential to their plots” (112-113). In the case of Seven Samurai, Martinez lists six women essential to the plot: 1) The wailing woman whose cry at the beginning of the film propels the village men into action, 2) Gosaku’s daughter-in-law, first seen with her baby in the scene with the village elder, and last seen at the end when dying and handing the baby to Kikuchiyo, 3) The town woman whose child has been kidnapped, an event which ultimately allows the village men, who have by now almost given up hope finding suitable samurai, to discover Kanbei, 4) The toothless grandmother who, against the wish of the samurai, kills the captured bandit, indicating the extent to which violence breeds violence, 5) Young Shino, who against her father’s wishes becomes involved with Katsushiro but later rejects him, illustrating the class division between the farmers and the samurai, and 6) Rikichi’s enigmatic missing wife, who as Martinez points out was not taken by the bandits, but actually given to them as a bargaining tool, a detail missed by many western viewers due to an imprecise translation in many prints of the film. Even if Seven Samurai is populated by fairly complex individual characters, it could be argued that the central focus is not on the individual level, but with groups. In Stephen Prince’s view, “Seven Samurai is a film about the primacy of groups, the untranscendability of class, and by implication the fiction of individual heroics. Heroism is possible, but only through merger with groups.” (201) It could then be argued that Seven Samurai promotes a view of society where everyone is responsible for the common good, where individual need is less important than the need of the group. This is perhaps most clearly exemplified by the way the three houses outside of the core village must be abandoned in order to more efficiently defend the village as a whole. Most writers on Seven Samurai have made note of the film’s groups, class boundaries and their possible social implications. The film has attracted a range of Marxist readings, which is not entirely surprising especially considering that one of the film’s most memorable speeches, the one given by Kikuchiyo in a close-up rare for the film, breaks the fourth wall and speaks directly towards the camera about the condition of the peasants as a class and “as historical victims of the entire feudal order”. (Mellen, Waves, 96) As a result, some have suggested that Seven Samurai is in fact a study of revolution, something of a political statement about how a small group of determined individuals (here the samurai) can “lead a mass to overturn its reified social consciousness and assume a new political identity” (Frederik Kaplan in “A Second Look: Akira Kurosawa’s Seven Samurai”, referred to in Prince, 206). Whatever the film’s possible social and political interpretations, on the surface Seven Samurai has three very distinct groups: the samurai, the farmers and the bandits. Yet, on closer inspection these group lines become blurred. The bandits and the samurai are, after all, both masterless samurai, products of a tumultuous era, and therefore “of the identical social group, driven by the same condition to opposite choices”, as Mellen puts it in Waves at Genji’s Door (91). In the two groups, we witness a situation similar to the one that forms the basis of Stray Dog, where identical circumstances have led characters to two very differing outcomes, with some individuals choosing to blame their environment, ignore morals and go down the road to lawlessness, while others like the noble samurai in Seven Samurai remain strong and honourable, albeit no less suffering. Seven Samurai is set in the Sengoku period, rather than the Tokugawa period more typical for samurai films. The Sengoku Jidai, or Warring States Period, was an exceptionally turbulent time of uncertainty for Japan, as near constant military conflict shook the country for nearly one and half centuries. It was also a time of opportunity. Prince (205-206) writes that at the time, peasants could still become samurai, and so “one of the things that interests the director … is the fluidity of class boundaries, particularly the relationship between samurai and farmer.” Although Prince quotes Kurosawa effectively confirming this as also his own view point, Mellen labels Prince’s view as “ahistorical” (67-68). Also Yoshimoto sees Seven Samurai as not entirely historically accurate. Yoshimoto writers: “I am not suggesting that Seven Samurai is pure fantasy; on the contrary, the film’s scriptwriters, Kurosawa, Hashimoto, and Oguni, dug into historical documents and used some of what they found to construct the story, characters, and other narrative details. The point I am trying to make is that the film’s reality effect cannot be equated to its historical accuracy. Instead of substantializing the historical past represented in the film, we must try to locate exactly where the film’s overwhelming sense of reality comes from.” (242-243) And according to Yoshimoto, the source of this “sense of reality” is not in historical detail, but in the film’s meticulous attention to details of any kind, historical or not. The most striking indication of this is the way in which all of the samurai who die in the film are killed by gunfire. These men who have perfected their skills with the traditional weapons of choice — the sword, the bow or the spear — fall down helpless when faced with these foreign inventions. In front of the arquebus, introduced to Japan in the mid-1500s by the Portuguese, the samurai truly become equal to the peasants. There may also be more to the deaths of these samurai. David Desser argues that all of the samurai who die in Seven Samurai are the ones who are fundamentally flawed, whose reasons for defending the village are not pure: Gorobei is there to be with Kanbei, Kyuzo is there to perfect his skills, Kikuchiyo is trying to be something that he is not. (90-91) Desser does not specify Heihachi’s flaw, other than the fact that his actions in saving Rikichi go against his nature and principles: that of running away from confrontation. It could be said that it is only the pure that survive, from a group of men already purer than the average samurai. Unsurprisingly, many have leaped into the conclusion that Seven Samurai straightforwardly glorifies traditional samurai values, with these interpretations often stressing Kurosawa’s own family background as a member of an old samurai family. But these values are increasingly hard to come by, even in the world depicted in the film. As Mellen points out, as the story progresses, “the samurai begin to fade from importance in the structure of the film.” For, while the peasants can acquire battle skills from the samurai, the samurai remain unable to integrate themselves into the peasant society. “Their class is truly obsolete and they must disappear.” (Waves 98) In Mellen’s views, as well as in the view of many others, Seven Samurai is ultimately a mournful lament about the death of the samurai class and its codes of conduct. This interpretation is, of course, strictly speaking not entirely true, at least when considered within the context of the historical era that the film depicts. If anything, the importance of the samurai class only increased after the Sengoku era, although the societal role of the samurai did indeed simultaneously begin to change, moving from a pure warrior class towards a leading and more bureaucratic one. If the age depicted in the film was uncertain and tumultuous, the same could certainly also be said about the era of Japan that Kurosawa himself had witnessed. This fact has not escaped film critics, many of whom have approached Seven Samurai as an allegory of post-war Japan, and its mourning for pure samurai values as a call for those values to be re-established for the post-war rebuilding effort. Tadao Sato (referenced in Audie Bock’s Japanese Film Directors, 177) has suggested that Seven Samurai is a critique of Japan’s militaristic rulers and reflects the idea that with the end of World War II, the country finally got rid of the military leaders who had in various ways controlled it for centuries. In Sato’s view, the film communicates how the military establishment became unnecessary following the war, and that Japan should now forever remain pacifist. And as the American occupation of Japan had ended only half a year before the work on Seven Samurai begun, some have seen the samurai as standing for the Americans, who came to rescue Japan from itself, but whose time it has now come to leave. Approaching the societal dimension of Seven Samurai from a slightly different and more universal angle, Desser (91) writes that “Seven Samurai must also be understood in relation to the nature/culture dichotomy”, with the samurai representing culture and the farmers nature. The civil war, and by extension the bandits, are a product of greed and ambition, arising from culture. The farmers then, by bringing in the samurai, fight “fire with fire, culture cancels culture, so to speak.” Desser further notes that “[n]ature itself becomes a force in the final battle. The rain and the mud aid the farmers”. And in the final scene, the samurai, representing culture, must leave the village, while the cycle of nature goes on as if nothing of importance had happened. The film can then also be seen as a love song for the land and nature. It is an approach all the more valid considering the characters’ connection with nature and earth, and the peculiar instances animal imagery present in the film, with the samurai are referred to as bears (albeit hungry ones), or Kikuchiyo described as a dog. And ultimately, as Prince has pointed out (215), the film is about the protection of rice and women, food and fertility, sustenance and continuity. So popular was the film in Japan that somewhat untypically of Kurosawa, the main theme of the film was released as a single with lyrics, with the always fascinating and enigmatic Yoshiko Yamaguchi, familiar to us for instance from Kurosawa’s Scandal, providing the vocals. The song can be heard here (assuming that it is the same recording). The film has, of course, remained immensely popular since its release, well exemplified by the care and love lavished on it by film company Criterion, whose masterfully restored full-length prints available on DVD and blu-ray are among the best home video releases ever undertaken. The popularity of Seven Samurai has also spawned a wide number of remakes, many of which are discussed in depth in Martinez’s Remaking Kurosawa, and most of which can be found at the remakes page of this website. The most famous of those remakes, John Sturges’s The Magnificent Seven, will be our film club title in August. For information about home video availability as well as the film club’s full schedule, see the film club page. But until August, our undivided attention will be on Seven Samurai. As always, dear friends, the floor is yours. This post has 15 comments. Join the discussion! Thanks for the great introduction, Vili!! As most of you know, Seven Samurai is my favorite movie ever. I noticed the push-pull rhythm, in which a dramatic scene is followed by a lighter one and setbacks by advances (and vice versa), the last time I watched the movie. (I’m not sure why I hadn’t noticed it before, but I hadn’t.) 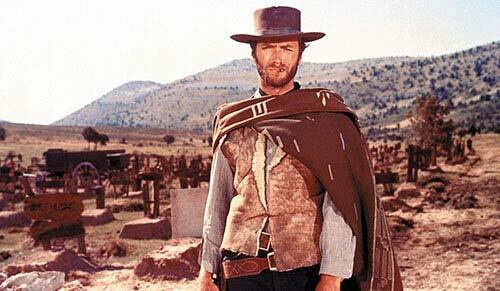 One of the reasons I love the film so much is that it transcends genre: it is so many different things all at once. It’s one of his funniest movies, even though it’s not intended to be a comic movie. As Vili says, it’s seriously funny. I think where many analysts go wrong is by taking the all or nothing approach. Seven Samurai is neither a study of individuals or of the power of groups and concerted action. It is both. It would not be as powerful a movie as it is, and we wouldn’t care so much about the outcome, if it didn’t contain so many wonderfully distinct characters. Those characters then work together for a common end, though often with a great deal of friction. To my mind, Kambei and Kikuchiyo are the two central characters of the film, locked together dialectically. Kambei is the archetype of the samurai who exemplifies the code of bushido, but despite that has never won a battle. He is also the one making the strategic decisions behind the defense of the village. Kikuchiyo is a pretender, a farmer’s son who aspires to be a samurai but who still retains the mannerisms and social resentments of the class into which he was born. He is loud, arrogant, and self-aggrandizing, and just as Kambei reproves Mosuke the villager (more about that in another post) for daring to rebel against the need to abandon his house and the others on the other side of the stream to secure the defense of the village as a whole, Kambei scolds Kikuchiyo for going off on his own to steal one of the bandits’ rifles after he sees the praise Kyuzo receives for doing so at Kambei’s request. But he is also drawn to Kambei, and in the end, proves himself worthy of samurai status by sacrificing himself in order to kill the bandit leaders. This worth is recognized by his burial alongside the other samurai. Another reason why Kikuchiyo is so central to the movie is that by straddling the two social classes, he is at the heart of the movie’s socio-philosophical discourse. His diatribe about the farmers’ untrustworthiness and the responsibility of the samurai for that is perhaps the most important speech in the movie because it places the movie in its social context. Its importance is boosted by the fact that it is delivered directly to the audience, breaking the fourth wall. As an aside, Joan Mellen, whose analysis and criticism I respect a great deal, has it wrong when she suggests that the social mobility Kikuchiyo exemplifies is ahistorical. While it may be a stretch to say that someone can go from farmer to samurai, Toyotomi Hideyoshi, the second of the three leaders who helped unify Japan at the end of the Sengoku period depicted in the movie, was able to ascend from the peasantry (his father was a foot soldier) to military and political leadership, culminating in his being named regent around the time in which the movie is set. (His humble origins prevented his being named shogun.) In a move of irony, it was Hideyoshi himself who began the process of erecting barriers to social mobility by decreeing that only samurai, not peasants, could bear arms. It’s true that the main characters are male and that Shino is the only female character whose name we know, but Martinez is right that there are other unnamed women who advance the plot. The importance of Rikichi’s wife and how she was handed over to the bandits the previous year, apparently at the urging or connivance of Manzo, to how the villagers react to the bandits’ threats cannot be understated. It seems, based on our previous discussion of the movie, that the fact that she was handed over to the bandits, rather than captured by them, may be a nuance that is more apparent to female viewers. Finally, one thing not directly mentioned in Vili’s excellent summary is the masterful soundtrack by Fumio Hayasaka – my favorite in all of Kurosawa’s movies. Fantastic introduction Vili, that’s a great essay on the film in its own right. I would add a third one: Katsushiro. Like Kikuchiyo, he too can be said to bridge the two classes (albeit very differently), and he too is of course directly linked to Kambei. In contrast to Kikuchiyo, Katsushiro wants to be samurai not only in name but also by living up to the noble values of samurai like Kambei and Kyuzo. Additionally, as a young samurai who survives the battle, when we start to think about the film’s ending and what will happen to the samurai, it really is first and foremost Katsushiro’s future that we are speculating about. I would say that Kambei, Kikuchiyo and Katsushiro are meant to form a core triangle in the film. Unfortunately, at least in my view Isao Kimura’s performance as the young lad just isn’t strong enough to hold his corner — which isn’t surprising considering that he is in this dance with Shimura and Mifune. As a result, the triangle is a little unbalanced and lopsided. We see a lot of Katsushiro in the film, but his scenes aren’t as memorable or interesting as those with Kikuchiyo or Kambei. lawless: It seems, based on our previous discussion of the movie, that the fact that she was handed over to the bandits, rather than captured by them, may be a nuance that is more apparent to female viewers. That could be true. It’s also that the translation, even in Criterion’s new edition, apparently gets the key sentence wrong: when Rikichi asks Manzo whether he would like her daughter to be taken by the bandits, what he literally says is whether he would like her to be given to the bandits. A slight difference, there. But I won’t blame the translator, as this little detail did escape my attention for a long time, even if it’s actually hinted at quite a number of times in the film. I’ve always been curious about Katsushiro’s background. Am I right in thinking that the scene where he throws coins at the farmers after the rice was stolen indicates that he comes from a rich background? Maybe even not samurai, but from the landowning aristocracy? His situation seems curious as I would assume that if he was from a prominent Samurai family, they would encourage his desire to be a warrior and would set him up with an appropriate sensei. Why would he be wandering apparently randomly searching for one himself? Since he has money, it can’t be due to his family having suffered a loss of status. Is it possible that like Kikuchiyo, he is also a ‘wannabe’ samurai, just from the opposite side of the social spectrum? Either the aristocracy or perhaps a rich urban merchant family? I don’t know enough about the period to judge from his clothes and appearance, but I assume there are clues there. 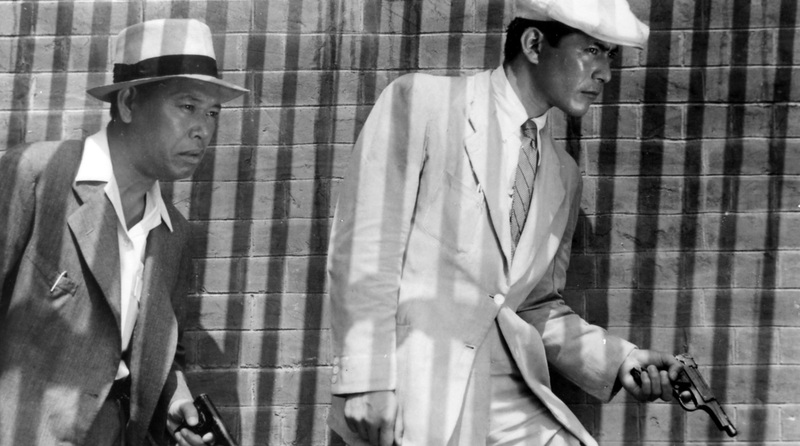 Unfortunately, at least in my view Isao Kimura’s performance as the young lad just isn’t strong enough to hold his corner — which isn’t surprising considering that he is in this dance with Shimura and Mifune. I agree that he is the one example of poor casting of the film, but my main problem is that to me he doesn’t look like much of a boy! He isn’t as world-weary and hardened as the other Samurai, but he seems like an adult to me, and a tall, athletic and powerful young man at that, so I find the insistence of the others of treating him like a kid to be a bit unreal. That is indeed an interesting question, Ugestu! Why indeed is he in charge of finding a master for himself? I have assumed that Katsushiro comes from a wealthy background, maybe from a daimyo clan. He clearly has had little connection with the peasants, considering his reaction to the living conditions that he encounters at the village. His money could of course also come from a merchant family, but remember that in that case he would actually be even lower in the social hierarchy than Kikuchiyo, as the merchant class was considered the lowest of the classes in feudal Japan. I (still) know nothing about clothes or fashion, but I took a look at Katsushiro’s kimono, and the emblem there actually seems very close to that of the Toki clan, or one of its branches that used the same emblem. I’m not sure if it’s exactly the same one, but at least it appears to be closest to the ones listed on the Japanese Wikipedia page of clan emblems. Whether or not it’s meant as the Toki clan, perhaps the fact that he has an emblem in the first place communicates something. I’m reminded here about Desser’s remark about samurai being “walking sign-systems”. As for Katsushiro’s age, Isao Kimura indeed doesn’t look much younger than the 30 that he was at the time of shooting, but I think he does a good job at adding some youthful spring to his step, which does (for me at least) sell his character’s younger age at least to some extent. Did you guys realise, by the way, that it’s the same Isao Kimura who played Yusa in Stray Dog? Such a difference there. He has small roles also in Ikiru and Throne of Blood, and a slightly larger one in High and Low as one of the detectives. I think it’s Galbraith who writes about the somewhat sad end to Kimura’s career. Although Kimura was a promising young theatre-trained actor with a couple of Kurosawa films under his belt, he never really broke through as a bankable leading man, and ended up playing supporting roles throughout his career. Towards the end of his career (early 70s, I assume) he founded a theatre company, but it went bankrupt. For the rest of his life, he worked to pay off his debts. Literally. He died in 1981 at only 58 years of age, shortly after having paid back the last yen to his debtors. I’d forgotten that. But I think it is interesting that none of the samurai question him about his family background. I suppose we can interpret this as meaning they just assumed he was a disinherited samurai like themselves (which suggests he hid his money deliberately to encourage this notion), or that they just didn’t particularly care. Good detective work! His kimono does seem very formal compared to the other samurai. I wonder what the status of the younger son of a daimyo family would be at the time – would it be creditable that the younger son of a powerful clan lord might be given money to go make his own way in the world at his request? In the cast list, his family name is given as Okamoto – would this be significant? I wonder if the original idea was that Katsushiro and Kikuchiyo were supposed to be opposing visions of people from different parts of society attracted by the adventure of becoming samurai, despite the gradual death of the old ways. Towards the end of his career (early 70s, I assume) he founded a theatre company, but it went bankrupt. For the rest of his life, he worked to pay off his debts. Literally. He died in 1981 at only 58 years of age, shortly after having paid back the last yen to his debtors. That is quite sad – he was obviously very talented. That’s one of my very favorite things about watching Kurosawa: suddenly seeing the Kurosawa-gumi in roles of every sort! My favorite discovery was seeing Minoru Chiaki as the Girlie Show director in Stray Dog! God, I love him in that scene, with the fan blowing his long hair and his slump against the wall. And a year and a half ago when I first saw The Bad Sleep Well, I spent the first 20 minutes of the film not recognizing Toshiro Mifune at all, waiting for him to arrive! How delightful the dawning of recognition — there he was, a contemporary business man with horn rimmed glasses, “Oh my god! That’s him?” I was thrilled! But yes, sad about Kimura. He had such a great face and so damn expressive – I guess luck wasn’t on his side. First of all, Vili, absolutely wonderful essay – thank you for putting your heart, soul and brilliant mind into this site at every turn. We all appreciate it so very much. I learned a lot just reading that inspired introduction to the film. Always such a pleasure to read your intros. Lawless, I’ve only seen this film twice now, the first time almost two years ago. It instantly became the best film I had ever seen. The experience of it was life changing. Right after viewing it, in fact, I found this site and read everything being discussed for about 8 months before jumping in. After viewing Seven Samurai the first time, I wanted to savor it and not watch it right away again, even though every fiber of my being wanted to. It was like devouring a feast and wanting to go back for seconds and thirds, but knowing that would take away from the experience as a whole. Watching it this time was really almost new for me, all over again. Kambei scolds Kikuchiyo for going off on his own to steal one of the bandits’ rifles after he sees the praise Kyuzo receives for doing so at Kambei’s request. Ironically Kikuchiyo’s desire for praise from Kambei is what brings the downfall of the samurai (though, paradoxically the farmers are still victorious). If Kikuchiyo hadn’t snuck off to get the other rifle, he wouldn’t have left his post, which allowed the bandits a way back into the village. It was Kikuchiyo’s childlike desire to please and also to have what wasn’t his (Kikuchiyo may well represent the child in all of us) that turned the entire operation from the possibility of a much more fully victorious battle (wherein all but two samurai would have lived since two had died before this event) to a very sad Pyrrhic victory indeed. I would say that Kambei, Kikuchiyo and Katsushiro are meant to form a core triangle in the film. This makes sense. However, I felt very strongly that Rikichi was serving the purpose of the very thing Lawless attributes to Kikuchiyo . I didn’t find this at all. Perhaps Kimura’s lovely doe-like face made me see him as a youth. I mean, I guess even if he was supposed to be 18, the fact that he looked to me to be about 26 didn’t make him seem “old.” I thought the scenes with Shino were sweet and nicely acted on his part. The only thing I thought about Kimura was that when he tells Kyuzo that he thinks he’s “magnificent,” the look of love on his face was off putting, it seemed so over the top and maybe even like he desired him physically. I think if anyone embodies youth, it’s Kikuchiyo. He embodies the child of each of us, the unbridled emotion we learn later to shut off to the world most of the time. He rages, he laughs, he carries on. His physical movements are silly and he tells secrets he shouldn’t tell, like the truth about the farmers. He steals toys he wants (the rifle), and does things that would not be considered permissible by an adult (gropes a woman in the field and teases her sexually). Kambei represents the patriarch, of course. He’s someone you feel you could always count on, lean on, trust. You want Kambei to love you, and love you best. His influence with the other Samurai (though they are supposed to be equals?) is so great, it’s clear that he is head and shoulders above them in his training, and more importantly, enlightenment. Kyuzo is a close second, but he doesn’t have the, shall we say, people skills, that Kambei has which makes him an excellent leader. Ugetsu: In the cast list, his family name is given as Okamoto – would this be significant? Amnesty: Ironically Kikuchiyo’s desire for praise from Kambei is what brings the downfall of the samurai (though, paradoxically the farmers are still victorious). If Kikuchiyo hadn’t snuck off to get the other rifle, he wouldn’t have left his post, which allowed the bandits a way back into the village. That’s a good point. And if I remember correctly, Kikuchiyo actually fires the weapon before handing it to Kambei. I wonder how much Kambei’s annoyance at his actions has to do with that as well. I wouldn’t really call him the 8th samurai. While he is very helpful and clearly a fairly likable man — sulking and all — I don’t think that he really has or wants to have much to do with the samurai values or behaviour exhibited by the actual samurai characters. I think this is an interesting idea – Rikichi proved himself as warlike and brave as Kikuchiyo, and much more disciplined. I think the crucial difference is Kikuchiyo’s lack of any obvious ‘status’ when they met him – while the Samurai knew full well he was not a Samurai they didn’t know exactly what he was – at least until after his speech where Kambei says ‘you are the son of a farmer, aren’t you?’. So Kikuchiyo could become a Samurai by default, but Rikichi is always a villager – his role and status never alters, despite his courage. 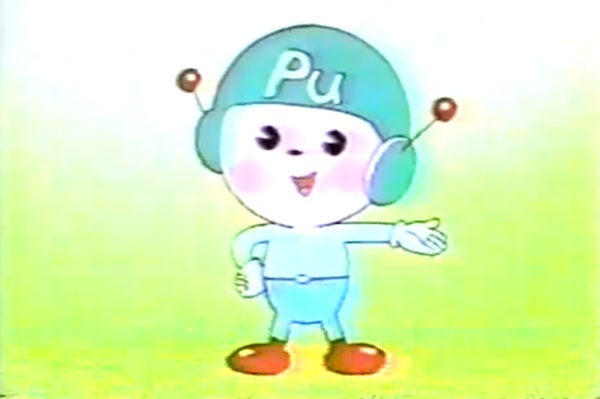 I see him more of a mascot that the Samurai adopt – someone they like and want with them, but can never be part of their group. BTW, I just googled “Seven Samurai gifts” because my friend suggested I wear a pendant with the symbol that the Samurai created for themselves on the banner (the six partial circles, the triangle and the た kana). She said my soulmate would be able to find me then (such is the talk of single women) – I found a few tshirts, decals etc. Great idea! I’d love to have something like that. Incidentally, I was watching the film this week with my part-Japanese friend who told me that the significance of the symbols is that the circle represents ‘positive’, while a cross is ‘negative’, while a triangle is ‘don’t know’, which is why the Samurai find Heihachi’s painting so funny. I’ve been trying to confirm this, but I can’t find anything right now, although apparently in Aikido the circle means ‘wholeness’, while the triangle implies ‘directness’. That’s a really interesting observation! And unless my memory fails me, at least in my school in Japan exams were indeed marked so that circles represented “correct”, crosses “incorrect” and triangular shapes “partly correct”, or somesuch. Which at first confused me as a westerner. – But sensei, I’m pretty sure that this is correct! – It is. That’s why there is a huge red circle around it. A similar metaphor is actually also part of Sony’s PlayStation game console interface. In many Japanese games, “confirm” is “circle” and “cancel” is “cross”, but when those games are exported to other markets, this gets inverted. But sensei, I’m pretty sure that this is correct! I’ve had the same exact exchange with my instructor when I first began lessons two years ago! The part I enjoy the most is the movie’s attempt at portraying what realistic battles. In SS, they generally just whip their swords around as fast as possible, yelling and screaming. Similarly, during one of the battles, a bandit falls from his horse and desperately searches for a way to escape. The women of the village come running out, screaming in horror, while they hack and slash at him with farm implements. That is what battle really was; Lots of fear. None of that stupid “one versus one” duels that they used to have in movies. I’ve only seen this film twice now, the first time almost two years ago. It instantly became the best film I had ever seen. The experience of it was life changing. Ahaha, as was said about this movie the last time around, it must be a chick flick despite its action movie credentials and the dearth of named female characters because it’s the women on the site (and Jeremy Quintinilla, who sadly is no longer active here) — me, Coco, and now you — who are the most enthusiastic about it. Not wanting to watch a movie I like too soon afterward isn’t something I experience often. I’ve watched Seven Samurai many times, including a few during which I’ve fallen asleep (shh! don’t let anyone know) — more a sign of tiredness rather than disinterest, because I find that if I’m watching something I like and am familiar with, I’m relaxed enough to fall asleep if I’m tired. On the other hand, I’ve only ever seen Ran once. It is a great and powerful movie, but it is such a downer that I hesitate to see it often. So specialness isn’t a criteria for limiting my viewing. It has more to do with how much I liked the film to begin with — I’m not inclined to watch the movies I don’t like as well, like Rashomon or Hidden Fortress — as often as the movies I do like, such as Yojimbo, Throne of Blood, or The Lower Depths, not that this is by any means an exhaustive list of what I like. Vili – I see your point about Katsushiro, although I think the script devotes less time and fewer lines of dialogue to him than to Kambei and Kikuchiyo. Certainly, the way he relates to women is contrasted with Kikuchiyo. I agree that his dress and bearing denotes him as upper class; perhaps he’s a second son or the clan his family serves suffered a reversal or became leaderless recently. Or maybe he’s just an archetype and Kurosawa wasn’t worrying overmuch about how he got there. Like Amnesty, his face is boyish enough for me to buy him as younger than the rest of them. I’m not sure what it was historically, but keep in mind that the age of majority in Japan is currnetly set at 20. Kimura’s portrayal of him as a hesitant, callow, and hero worshiping youth works for me. Matt – I agree that the realism of the battle scenes is one of Seven Samurai’s strengths and a major reason why I love it so much even though its main genre — action/adventure — is one I’m not generally that fond of. It’s hard for me to imagine movies with realistic battle scenes like Saving Private Ryan existing without the example of Seven Samurai. I suppose that if Kurosawa hadn’t done it, someone else would have, but I’m not sure whoever it was would have done it with quite the same panache and attention to detail as Kurosawa did. For one thing, would they have taken on the technical difficulties of filming the climactic battle scene in the rain? I can’t imagine a much better allegory for the horror and futility of war, no matter how necessary it is to survival, than that. Matt, I agree with you about the battle scenes. I understand that at the time the battle scenes weren’t well received – the audience found them confusing and in particular didn’t like the slashing swords – up to this time, samurai battles were filmed in a very formal way, as if in a theatrical show (unsurprising considering the roots of the samurai film in kabuki and noh). If I recall the NY film critic at the time wrote that it was all too confusing in the mud. What I love about the way it was filmed is that I think its almost unique as a war film in that Kurosawa went to such pains to map out the battlefield and the strategy. We see exactly the defensive challenges he faced, with the open fields to one end, and the wood at the other. We see how he managed the defence and how the bandits tested the defences (presumably, as many would have been ex samurai too, they would have been familiar with strategies to overcome organised defences). The fact that even skilled swordsmen and horsemen would, in the heat of battle, start slashing and thrashing around in half panic seems far more realistic than the usual portrayal of battle. 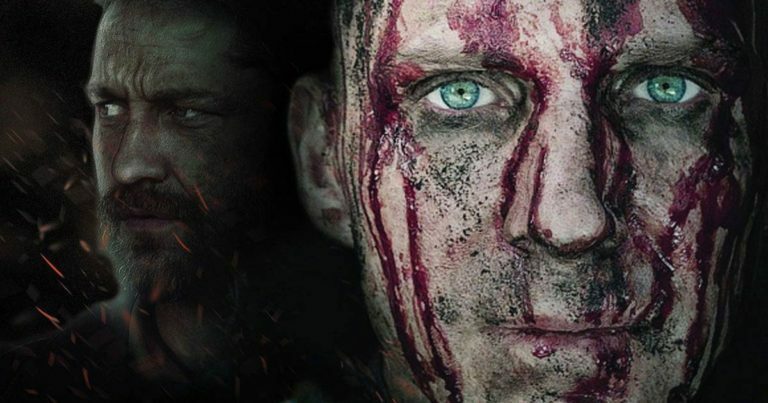 I think particularly significant, both in terms of realism and the overall theme of the film, is the way in which while the samurai usually faced their opponents man to man, in reality most casualties came from random shots or from wounded warriors being hounded and hacked to pieces by angry mobs of ordinary footsoldiers, or in this case, villagers with crude weapons.